As of today (24th February 2017) there are only 40 days left in the current tax year. It seems many of us have just completed our tax returns for last year, but if we want to improve our tax position, it’s VITAL people start tax planning now. You still have time to make the most of the current year’s allowances, but the clock is ticking. As financial planners, we can help business owners like you with a wide range of matters, and some of these are summarised below. You could start by structuring payments from your business, to make sure you take advantage of the £5,000 dividend tax allowance, which became effective from last April. For dividend payments over the allowance, there’s a new (from 6/4/16) dividend tax of 7.5% for basic rate taxpayers, 32.5% for higher rate, and 38.1% for those with incomes over £150,000. It makes sense also to review your dividend payments to make sure you’re aware of how the new tax will affect you. Make sure your salary is correct, so that you qualify for National Insurance credits – these are needed for State Pensions. As with every year, be very careful that your taxable income doesn’t fall within the band of £100,000 to £122,000 – in this bracket you’ll lose some or all of your personal allowance, meaning that effective income tax rate could be 60%! Assuming your remuneration is right, we may be able to help you extract money via pension contributions, taking cash out of the business into your own hands, with a minimum of tax. As well as this year’s annual allowance of £40,000 you may be able to invest previous years unused allowances, up to a total of £170,000 per person. However this year there are also new rules applying to those with income over £110,000. These may restrict annual allowances – for some people to £10,000. Planning now may help certain individuals avoid these restrictions. Leaving aside pensions, the annual ISA limit is £15,240 for this year. Just a reminder – all income and capital gains within an ISA are free of income and capital gains tax, so these could be a great way of saving flexibly for your future. However it’s use it or lose it – if you don’t invest by 5th April, you can’t carry your allowances forward. It’s a similar situation with Capital Gains Tax – every individual has an annual exemption of £11,100 for the 2016/17 tax year. If you don’t use it you lose it. You can sell assets such as shares or property, make a gain of up to £11,100, and have no CGT liability. (assuming you have no other capital disposals in the year). In some cases you could immediately reinvest using your ISA allowance, avoiding further tax on gains (or dividends) in the future. 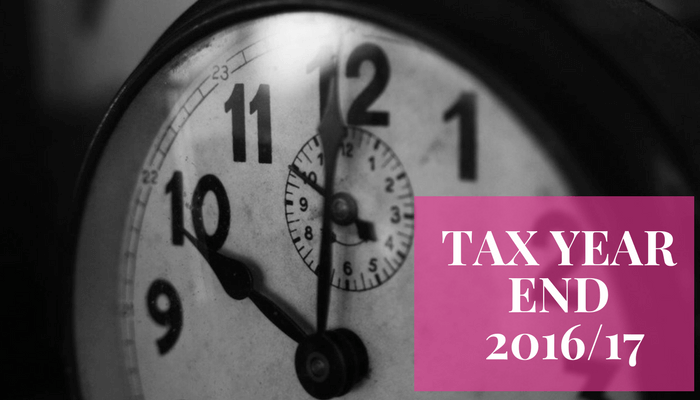 So the clock’s ticking – prepare now, and check whether any of these tax planning ideas are of use for your own circumstances. If so, let us know if we can help. This document is intended to provide a broad scope of matters you may wish to consider when reviewing your tax planning. You should not consider this to be definitive advice regarding your own circumstances, and Vital Wealth Management can accept no responsibility for your acting, or refraining from action, based on the contents of this document. We would of course be happy to provide advice regarding your own specific circumstances.Tax benefits are subject to possible future legislation change and depend upon your own individual circumstances. Any reference to legislation and taxation is based on our understanding of law and Her Majesty’s Revenue and Customs practice at the date of publication (February 2017). Legislation and taxation are liable to change in the future.